Description: Yellow and brown coffee bag, featuring a girl in Finnish national dress holding a coffee cup. On the other side a picture of the same girl making coffee. On both sides the Olympic rings and the text: PAULA KAHVIA – KAFFE PAULIG. Contains 1/4 kg of coffee beans. The price of the bag was 175 marks. 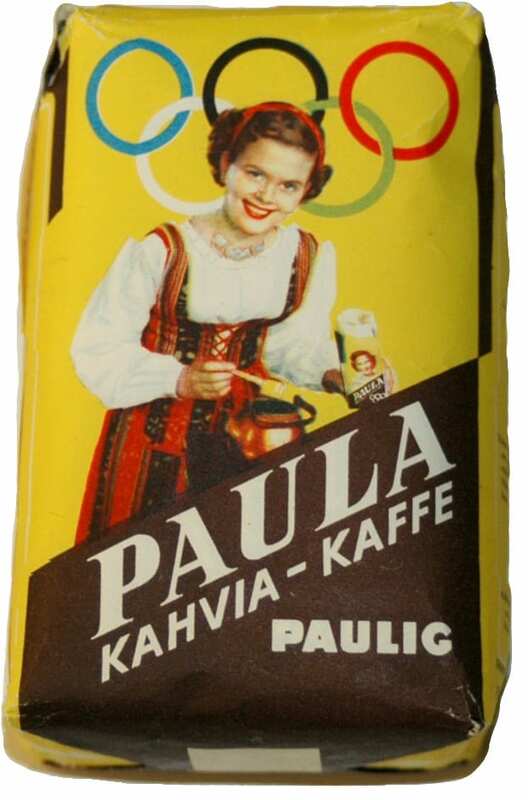 The “Paula” girl was a well-known trademark of Paulig coffee company.